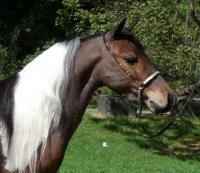 Rembrandt is a glorious bright bay pinto with outstanding movement and excellent conformation. 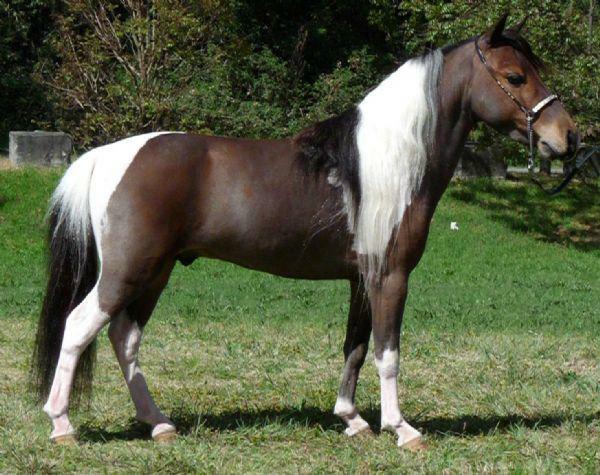 In October 2005, four weeks after being released from quarantine, he won Reserve Grand Champion Colt at the NSW Miniature Charity Show from an entry of 35 colts. Rembrandt's sire is Little King?s Almighty Buck. "Almighty" is a beautiful 30.25" double bred pinto buckskin son of Boones Little Buckeroo and is a National Top Ten Halter winner. He has outstanding movement and every foal that Almighty has produced for High Country Miniatures has had a winning attitude coupled with the kind of movement you normally only see in full size breeds. Almighty's sire, Buckeroo needs no introduction. 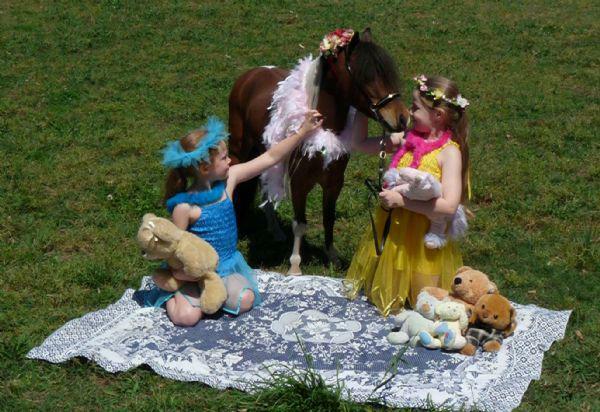 Almighty's dam, Little Kings Buckeroo Cameo, was one of Little Kings favorite and best producing mares. Little Kings White Russian and Little Kings Buck by Buck being two of her other offspring. Rembrandt?s dam is HCM Navajo?s Sweet Surrender, a sleek and elegant, 32", X-Caliber?s Little Navajo daughter. Although she was never shown, she has the looks, refinement and conformation passed on from her sire and dam. Her sire, X-Caliber?s Little Navajo has many wins to his credit including AMHA Reserve National Grand Champion Senior Stallion, AMHA National Champion 2-year-old Stallion, AMHA National Champion Senior Stallion as a 3-year-old, National Champion Senior Stallion as a 4-year-old, undefeated National Champion Color Stallion four years in a row, National Top Ten Open Pleasure Driving, National Top Ten Get of Sire. His offspring and their offspring are consistent winners in the showring. Sweet Surrender is out of an elegant chestnut show mare, LWH Snicker?s Thumbelina. Thumbelina was a Supreme Halter Champion in the show ring who adds her elegance and style to her foals.